Guns N’ Roses were forced to end their November 25 concert in the United Arab Emirates early due to an illness affecting frontman Axl Rose. Rose’s bandmates saluted the singer and the fans following the concert. 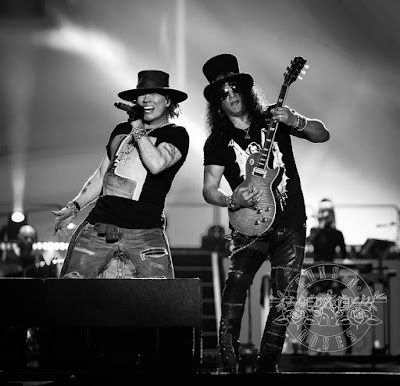 "Abu Dhabi, you guys were great tonight!,” posted Slash. “Axl was severely ill. But you all were hugely supportive. Thanks for that. We'll see again next time! Cheers!" Guns N’ Roses are next scheduled to perform in Johannesburg, South Africa on November 29 as the band prepares to close out their 2018 schedule in Honolulu, HI on December 8.